I've abandoned you for a while so I thought I would share some bright and muted visual + sparkle = color inspirations today with these gorgeous images I found via Pinterest. 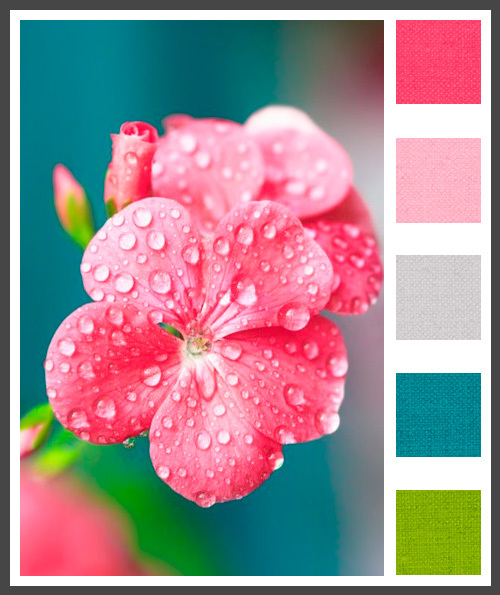 This beautiful flower image is as bright as a Spring day and the palette is perfect for Spring or Summer Wedding or Quinceañera, don't you think? I've always loved these images of Emma Watson for Teen Vogue. The jewel tones in this shot are the perfect palette for a Fall Wedding.